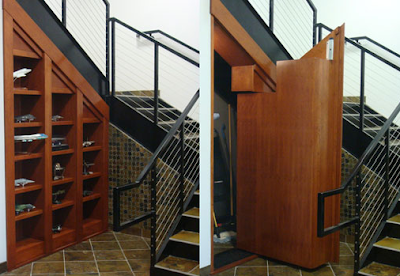 These hidden areas, designed by Creative Home Engineering, make me want to have important things to hide. hello? 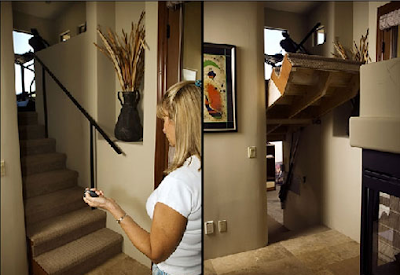 remote control stairs?! i want to be a millionaire. 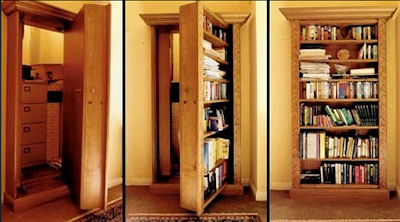 That hidden door bookshelf would be perfect for my husband's panic room. I wonder if there's an impenetrable steel version.